and wilt hear us? yea, we can. ‘Angel voices ever singing’ is a firm favourite among the countless number of organists and choristers who help to lead worship in the Churches of England and Wales. It is popularly sung at music and dedication festivals. It was actually written for a service to dedicate a new pipe organ at St. John the Evangelist’s, Wingate, Lancashire, in 1861. St. John’s had been built just two years earlier during a time of great religious revival and Church building in these lands. The newly appointed Vicar of the parish, the Revd. W. K. Macrorie [who became Bishop of Maritzburg, South Africa, in 1869] invited his friend, Revd. Francis Pott, to write a hymn for the dedication service of the newly built ‘Hill’ organ at St. John’s, Wingate. The 19th century saw the installation of pipe organs in thousands of parish Churches in Britain. This was often to the great consternation of the musicians and minstrels who had led the singing of the metrical psalms on their stringed instruments - usually from the west gallery of the Church. 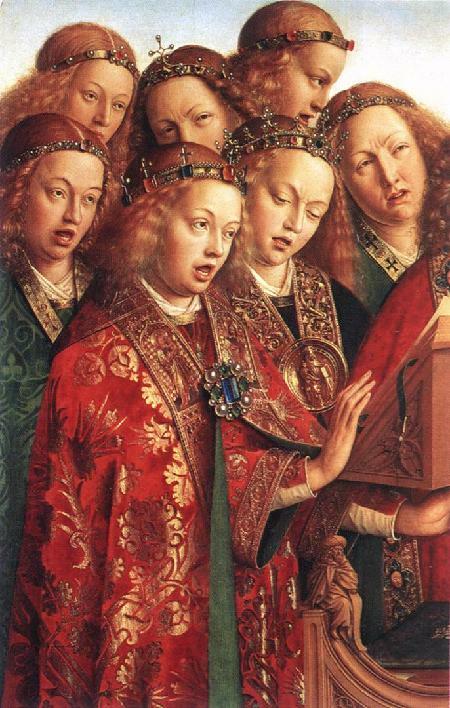 The minstrels often played in the local inns over the weekend and were, at times, somewhat unreliable because of this. Their rustic music, immortalised by Thomas Hardy in ‘Under the Greenwood Tree’  was virtually swept away by the Victorian love affair with the pipe organ. All Saints, Oystermouth, was no exception to this new trend. It took delivery of its first organ, built by Postill of York [at a cost of £590] in 1873, and a gift of Henry Crawshay. The author of ‘Angel voices’, Revd Francis Pott, had come under the influence of the Oxford [High Church] movement. He had received a classical education at Brasenose College, Oxford, and took Holy Orders in 1856. After serving three curacies he became Rector of Norhill, Bedforshire, in 1866 where he stayed for the remainder of his ministry. He served on the committee of ‘Hymns Ancient & Modern’ which was published in 1861. Though he wrote several original hymns Francis Pott is best remembered as a translator of ancient hymns into English. The most famous example being The strife is o’er the battle won. After writing the words of Angel voices, Pott asked Dr. E.G. Monk, the musical editor of Hymns Ancient & Modern to compose a suitable tune. The result was a magnificent match between poetry and harmony. The words are almost exclusively sung to Monk’s tune, Angel voices. The hymn begins by celebrating the ceaseless and eternal praise of heaven. In verse two the author asks a question, if God is worshipped unceasingly by the angelic hosts in heaven will he accept the praise of ‘sinful man’? His answer ‘yes’ is emphatically celebrated in verses three and four. Craftman’s art and music’s measure for thy pleasure all combine make Pott’s words not only suitable for the first occasion it was sung but for any act of worship where hearts and minds and hands and voices are offered to God in praise and adoration. The hymn ends with a doxology in praise of the Trinity and the affirmation, Of the best that thou hast given earth and heaven render thee.